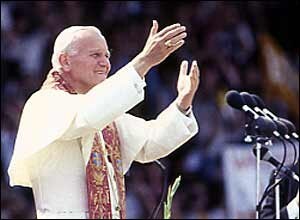 John Paul II waving goodbye to the UK. JP2F4S is blind to anyone’s race, ethnicity, economic situation, background or belief, age or ability, whether they are single or partnered. Everyone who signs up to our criteria is welcome in JP2F4S.